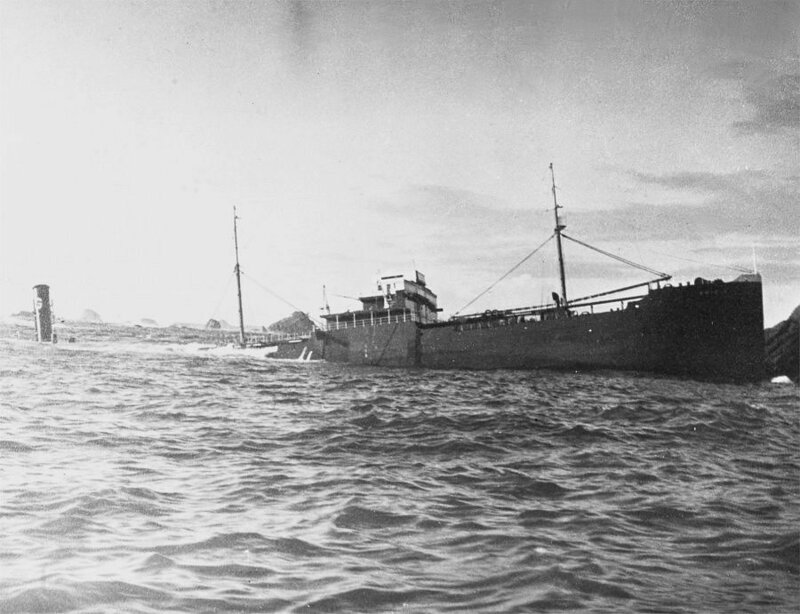 See also : German Records off the Attack on the SS "Emidio"
Build in 1921 as "Hammac", for the U.S. 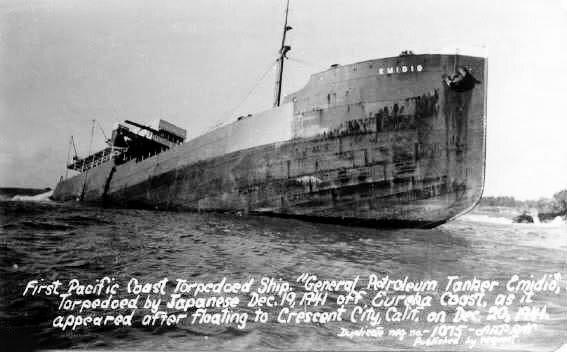 Shipping Board, sold in 1923 as "Emidio"
to General Petroleum Co. Lost in 1941 by Japanese enemy action. 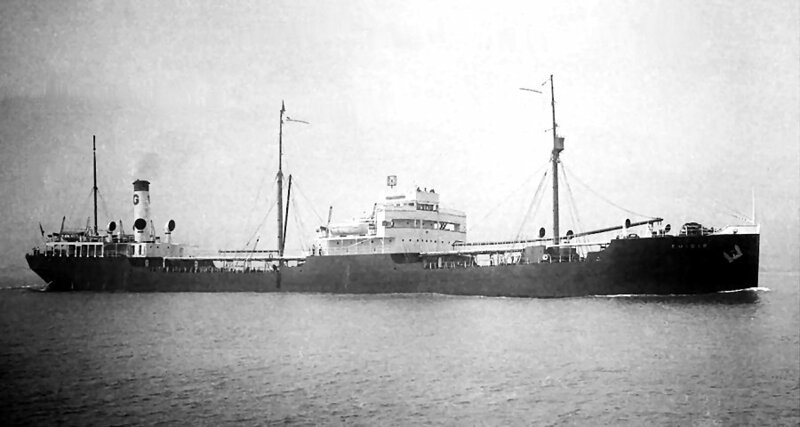 "Emidio", seen here as "Hammac", in service for General Petroleum Co.
"Emidio", seen here wrecked in 1941. December 20, 1941, by a Japanese Sub. 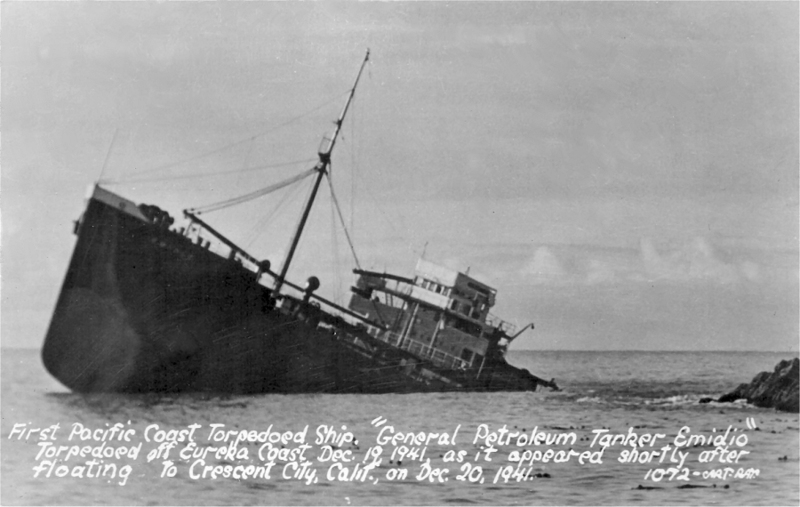 Five of her crew were killed and five wounded. LOA 435 ' Beam 56 ' Depth 36 ' 6"
owners as HAMMAC. 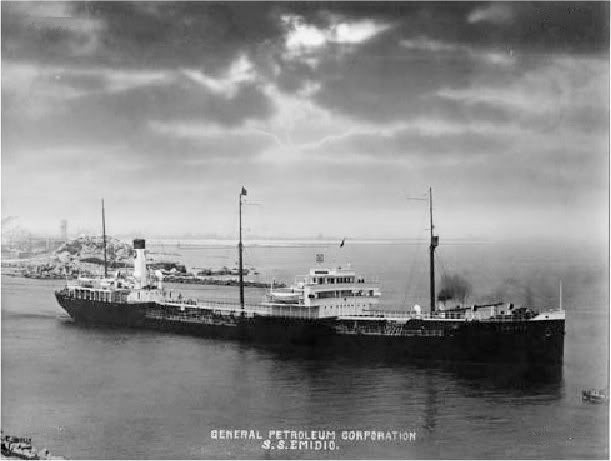 Purchased by General Petroleum Company in 1923 and acquired by Socony in 1926.
whose complete disappearance with all hands in November 1941 has never been solved. on the surface and in daylight, about 20 miles off the coast of California. Five men lost their lives. 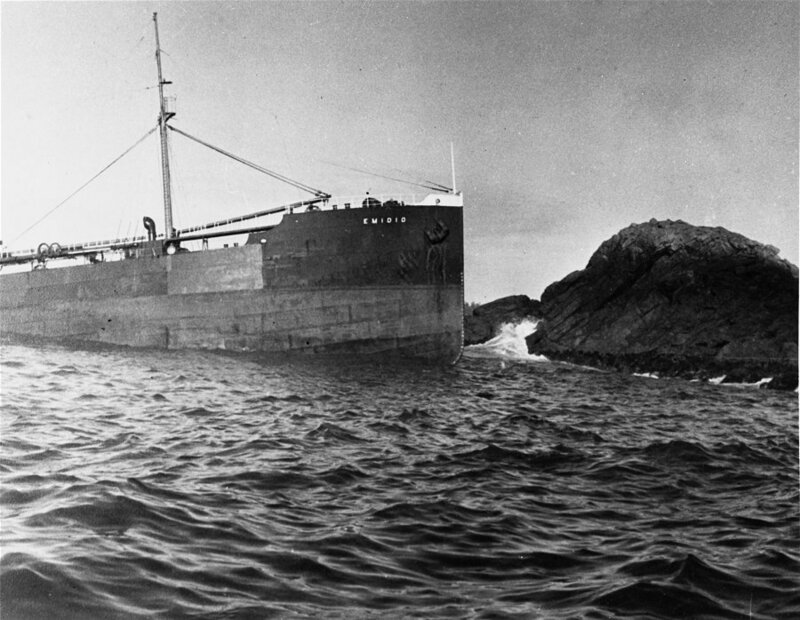 The ship was abandoned. 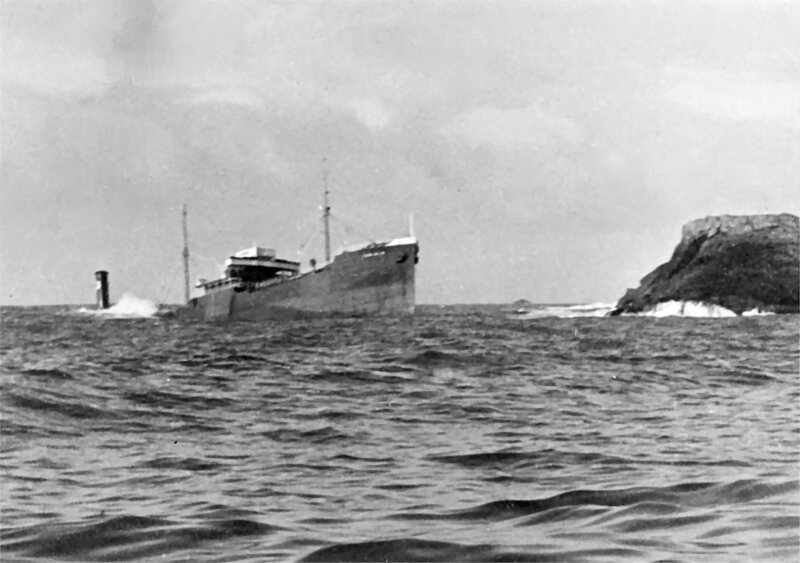 The Miramar Ship Index for "HAMMAC"
(25 miles west of Cape Mendocino), voyage Seattle - San Pedro, in ballast.